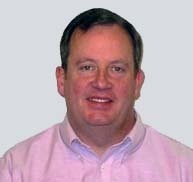 Mark Johnson is the Assistant Director of Enterprise and Product Development in the Measurement Services division at Measured Progress, where he oversees the assessment content development for eMPower™ Assessments by Measured Progress and for Measured Progress’s assessment partners. Mark has been involved in educational assessment since 1990, promoting high quality assessment as a classroom teacher, a state assessment leader, and an assessment vendor. We all expect students to be open to learning better ways of doing things. But sometimes as adults, being open to new ideas about something you already know can be challenging—but ultimately invigorating and worthwhile.